Once the weather turns for the worse, I always feel the need to ‘up’ my skincare a little. 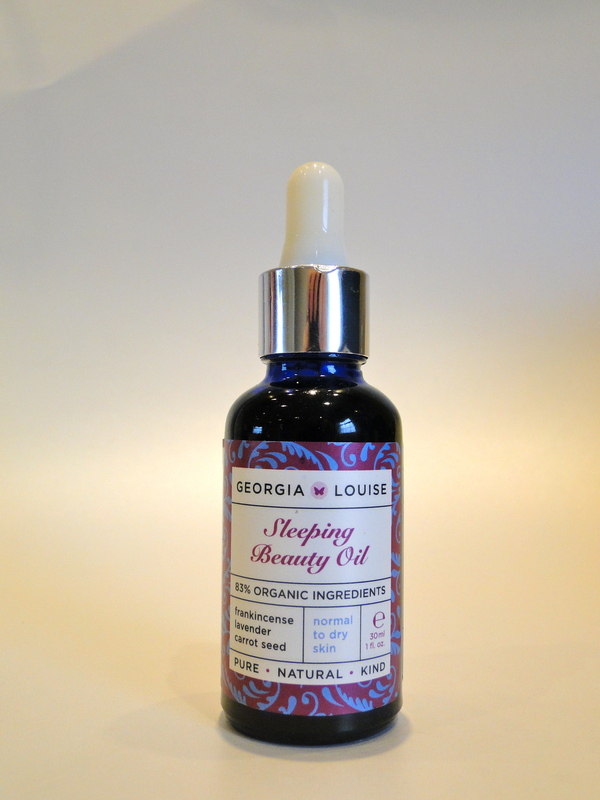 The newest addition to my routine is Georgia Louise’s gorgeous Sleeping Beauty Oil. 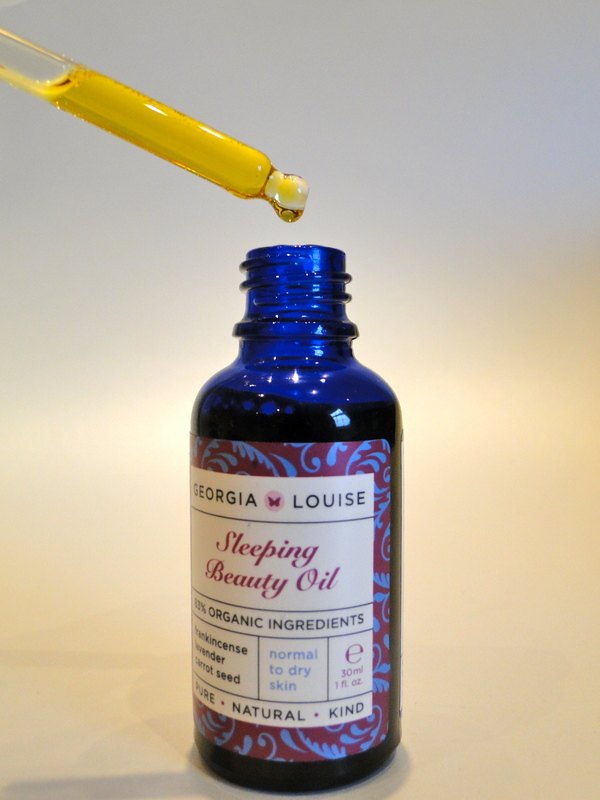 Packaged in the most perfect little blue bottle, complete with dropper, this is such a wonderful nightly luxury. I use the recommended four drops all over my face, neck and décolletage after cleansing, and rub it in using my butterfly. The quartz feels wonderfully cooling whilst I can feel all the goodness of the oil sinking in. It’s a little facial every night! Since using this, I have definitely noticed that my skin feels more balanced, and it doesn’t tend to get dry during the day. The magic is in the mix of oils – apricot kernel, avocado and macadamia are used for their moisturizing properties, carrot seed oil has toning properties, Vitamin E is used as an antioxidant, Bulgarian Rose Otto not only smells incredible, but is an aphrodisiac and helps with stress and insomnia, and last but not least, frankincense banishes stress and negativity. Phew! And if that’s not enough, its 83% organic too! 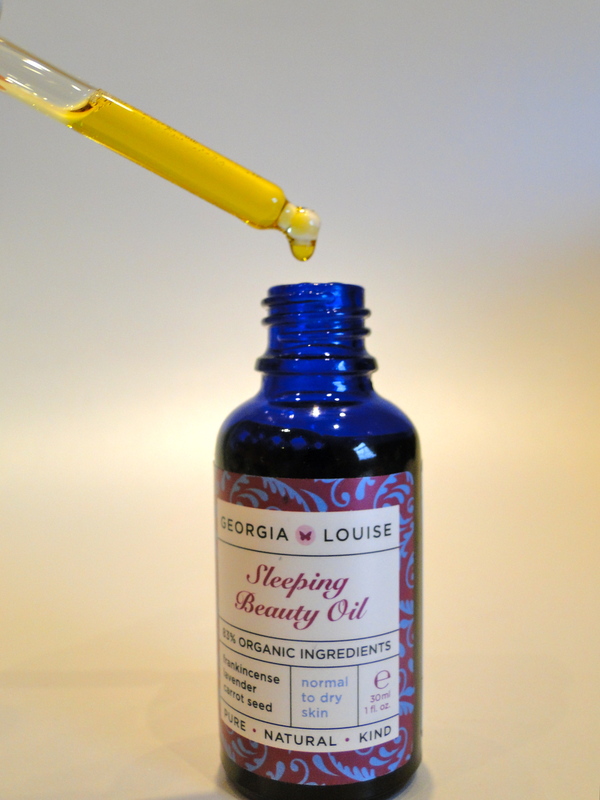 It’s a clever and well thought out product which is such a godsend for an evening of unwinding. It smells completely luxurious, and you can consider me addicted! Would this oil work on combination skin? Is it for all skin types? Sounds great and I love a good face oil. I’m going to have to buy this!